You know I have been trying to warn yourself and your readers of the up coming forced vaccines based off a MAN MADE pandemic brought on by the vaccines themselves. Freaked out, (and rightly so.) government officals have over the years been coming forward with the type of information FACTS I am going to share with you. An Indiana county municipal official reveals FEMA & DHS preparing for mass graves and martial law near Chicago. The feds (which is known PUBLICLY to be run by private off shore banks) are getting your local governments ready for forced vaccines and mass graves to follow. These ARE NOT BASELESS THEORIES! All you have to do is READ THOUSANDS OF DOCUMENTS available from foundations run by the Rockerfeller, Prince Phillips trans humanist organizations, just to mention a few. Then dovetail all of that, with ALL the legislation such as HR645 / REX 84 calling for mass population detainment camps and it becomes all TOO CLEAR the eugenicist plan to CULL THE POPULATION is being implemented. individuals such as University professor Dr.Pianka get 'STANDING OVATIONS' at lecturers calling for 90% of worlds populations to be reduced. So, who is giving this great applause for OUR demise? Folks who work in the vaccine / bio weapons labs. That has been DOCUMENTED. If we hear in the U.S. don't wake up to the seriousness of this we will fall into the same historic trap the gentleman who wrote..."when they came for the Jews I said nothing..." fell into. We are NOT exempt from REPEATING history. I got so focused exposing the evil I forgot to mention the bright spot in all this. 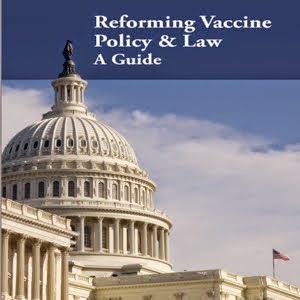 So, your readers may or may not be aware of what I wrote about concerning the forced vaccines and then some, HOWEVER there are people in government who DO KNOW what I wrote about and do NOT plan on going along NO MATTER how bad the so-called crisis will be perceived. The legislation for states to break from the feds is based off the 10th amendment. 'THE LONE GUNMAN' Dr Andrew Wakefield. It seems Rupert Murdock and his buddies at big pharma who pay the big bucks to run ads in his media outlets are at it again. Trying to paint this picture that Dr. Andrew Wakefield is some sort of 'lone gunman' / rouge doctor. One has to muddle through this joke of an article to get to 'THE REAL' crime Dr. Wakefield committed... "bring the medical profession into disrepute." His accusers words NOT mine. God forbid the Medical Industrial complex would EVER be disputed! Think of the loss of revenue! Specially over it's holiest of holy grails, vaccines. Mercury in vaccines, at ANY LEVEL, having VERY adverse effects on brain tissue (just for starters) is very well researched going as far back as the turn of the LAST century. Nobel Prize winner Bertrand Russell, a virtual mouth piece for the VERY ESTABLISHMENT THAT OWNS THE VACCINE FACTORIES, talked a great deal about mercury and 'OTHER' substances being put into vaccines. IT IS ACADEMIC, NOT THEORY, that mercury in vaccines can produce a "PARTIAL CHEMICAL LOBOTOMY" (Depending on the amount of mercury administered.) just as discussed by Russel himself. Why would the loving individuals who OWN big pharma do this? Well, you will actually have to get up off your duff, turn off that screen that assures you your vaccines are 'safe and effective', go to something called a 'LIBRARY' check out the book named and referenced below for that answer. You DON"T have to 'believe' anything JUST READ. "The Impact of Science on Society" by Bertrand Russell, 1953, pg 49-50. Unfortunately even for today's doctors, research IS NOT entertaining enough. That's why today, 'ACTORS' can sell off-the chart-dangerous vaccines like Gardasil and when the poor victim's try and tell these quacks the "VACCINE IS KILLING THEM" the so-called doctor insists they keep taking the other rounds. What's going on with this court case that found vaccines do not cause autism? How do the know? Who did the study? I'm pretty sure it was biased!!!!! (the medical industrial complex) which actually writes legislation for government, which IS illegal by the way, had to showcase an autism court case that lost. The mainstream media will NEVER show the number of court cases lost by big pharma and REAL money awarded over the vaccine autism issue. Until the masses wake up to being used as lab rats we will never know the extent of the damage these vaccines are doing and are poised to do. summed up the vaccine racket correctly when he said... "the 1 billion dollars vaccine manufactures recoup every time a new vaccine is 'approved' for the market is nothing when compared to the billions of dollars the medical industrial complex will make by making people at a very young age 'DEPENDENT' on the very institutions pushing the dangerous vaccines." There ARE scientifically proven methods to defeat disease WITHOUT dangerous vaccines. Imagine the profit loss to the Medical Industrial Complex! No drugs get the red carpet treatment that vaccines get. That alone should make the most naive suspicious. After getting her over load of vaccines this 17 year old girl got a chemical lobotomy to go with it. Of course her parents did NOT win the court case. "NOT ENOUGH RESEARCH HAS BEEN CONDUCTED ON THESE VACCINES TO DETERMINE WHAT TYPES OF DAMAGE THEY ARE CAPABLE OF DOING". The courts verdict NOT MY WORDS!!! Basically the courts in the U.K. have admitted they (the government that MANDATES these dangerous vaccines) have no clue what harm they could do and that YOU THE TRUSTING PUBLIC and your children are genie pigs whether you want to face it or not. I heard you on the Alex Jones program earlier today and just wanted to thank you in waking me up to the dangers of vaccines. I will be learning more in the coming days. You were absolutely great on the Alex Jones show today! Can't wait until you come back! From the historic records of the city of Portland, OR. On January 2, 1895, the first Bull Run water flowed to Portland. The Portland Hotel's menu boasted that it served only Bull Run water to diners in its elegant restaurant. Within two years the City's health officer documented a phenomenal decrease in the number of cases of typhoid fever and the lowest death rate on record at the time. THERE IS NO MYSTERY TO DISEASE!!! The Medical Industrial Complex knew that 'MODERN' sanation and PROPER water works would eliminate most disease. Yet vaccines took all the credit. I am going to be working on a project with people in the medical and scientific communities that are fully aware of the vaccine fraud. 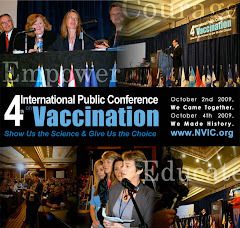 The data from this project, I believe, will prove that IF America goes into a full blown economic crisis and loses it's abiliy to maintain public works the vaccine programs will actually cause disease to explode. However, let's not forget all the cancer, autism and 'old person's diseses like 'parkinson's' (just to name a but a few) that have ALREADY exploded on kids since the M.I.C. started mandating so many of these deadly vaccines. First, I want to thank you Barabara for dedicating your time and energy into researching and educating so many about the under-rated harm of vaccinations. As a wellness chiropractor, I use and quote your work frequently to frustrated and confused parents and patients. I read a recent article about the "accidental" contamination of Baxter's vaccination with LIVE BIRD FLU VIRUS. What better way to wipe out a portion of the population than to spread the bird flu through MANDATED vaccinations of every man, woman, and child ... of course unless they run low then it is okay to pass and allow the already weak and sick to get it first - because they are easier to kill off than the educated, strong, and healthy. I apologize if I seem blunt and angry about this - but frankly - I am. I just dont understand how our world has become so corrupt that medical physicians and government agents are so much in bed together that they can convince and harass so many people to get vaccinated. What happened to this being a FREE country? As a mother, if you take your child in for a check-up ... you practically get cornered and called a neglecting mother if you do not have your child vaccinated. The best part is - they have made our economy COMPLETELY DEPENDENT on outside sources for "health" and "prevention". So what happens if you inject a cadaver with these "life-saving" concoctions? Are they now healthy?? NO! IT IS NOT VACCINATIONS THAT HEAL PEOPLE AND KEEP THEM HEALTHY ... IT IS THEIR INNATE, INBORN INTELLIGENCE THAT MADE THEIR FULL-FUNCTIONING HUMAN BODY OUT OF TWO TINY LITTLE CELLS. Keep on educating and help free our world from a vaccinated, drug-dependent, sick, unhealthy society that we have become. The power that made you, heals you. Try getting your kids adjusted - let your own immunity fight infection like it was intended to do. At least you know that the government and big pharma can't "accidentally" contaminate your chiropractic adjustment! Anyone wanting to know more about healthier alternatives to vaccinations and drugs, visit your local WELLNESS chiropractor or post a comment at http://www.wecreatewellness.com ... we'd be happy to help however we can! Have been following infowars.com and Alex Jones for a few months now, and have full understanding of the issue involving vaccinations of our children and ourselves. An interesting thing has been happening in our community since the Christmas vacation: several children have come down with Pertussis (Whooping Cough). All parents received both phone calls and memo on the subject advocating a full course of antibiotics be given our children REGARDLESS of the child's vaccination schedule. In other words, even if a child has been vaccinated, we are being told to go put them on antibiotics. What they also seem to be admitting, is that vaccinations don't work! My spider senses are tingling, Barbara, and I'm feeling that the next move is either a state/county/school mandate to force all kids to have another round of Pertussis shots (what happened to all the kids who were already vaccinated against the disease?) or this is just a false flag and we will be bamboozled into giving our children more and more vaccinations mandated to entry into school. I wish I had never given my children vaccinations, but am now "stuck in the system". I would, however, consider homeschooling rather than bow down to this blatant lie.